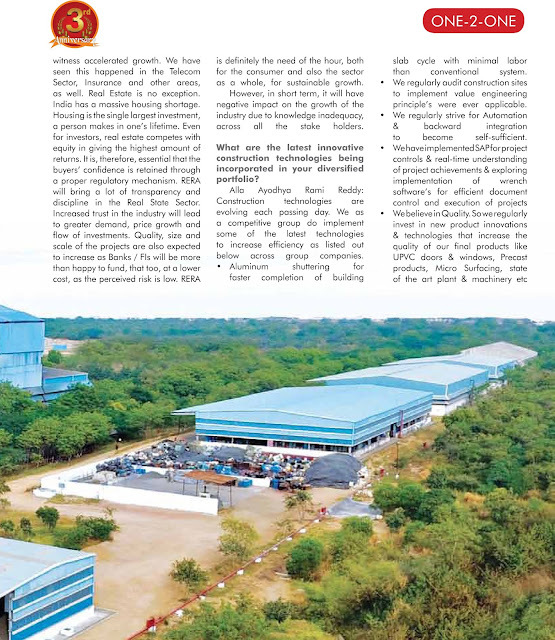 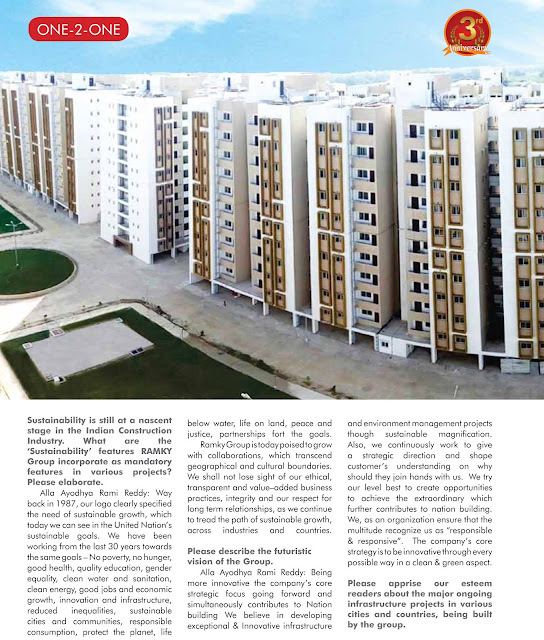 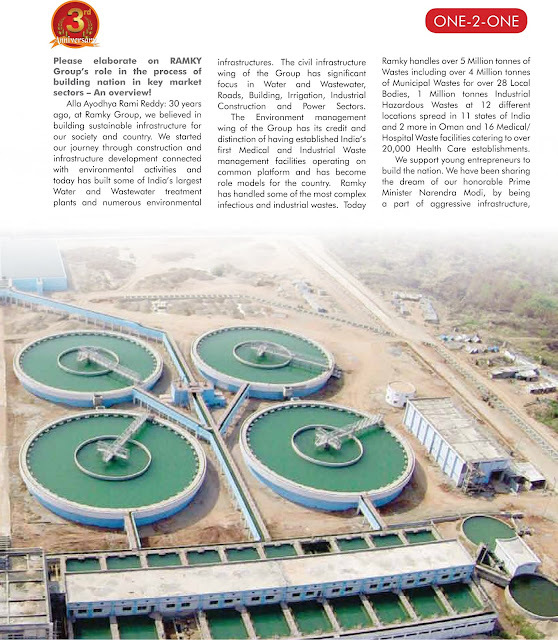 Ramky estates & farms ltd..: It's a great pleasure to share the popular magazine ‘Construction Times’ Anniversary issue with you featuring The Chairman – Ramky Group, Shri Alla Ayodhya Rami Reddy. 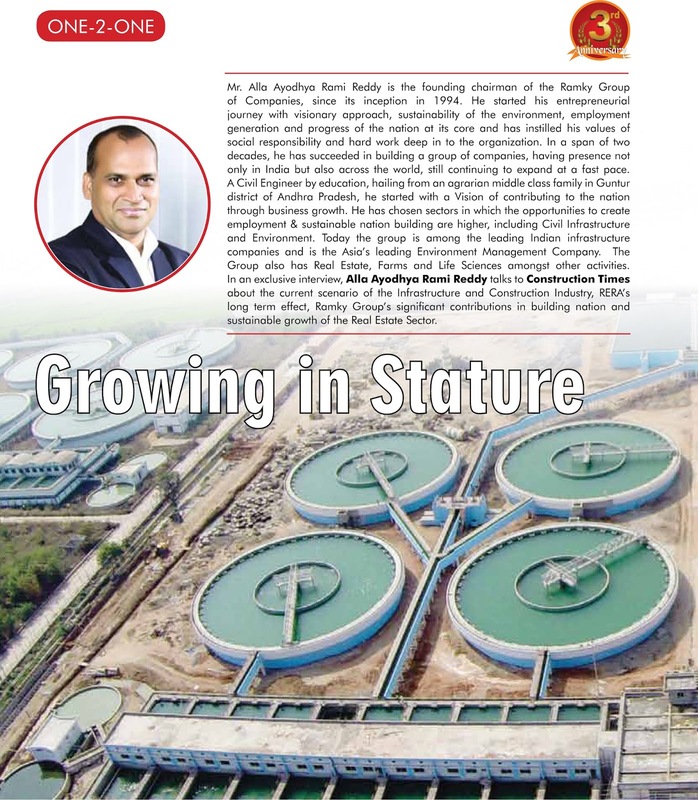 His insights & valuable thoughts as a responsible citizen of the society and ever thriving business person are well captured and summarized into the topic called “Growing in Stature”. Here we are sharing the detailed interview with him. 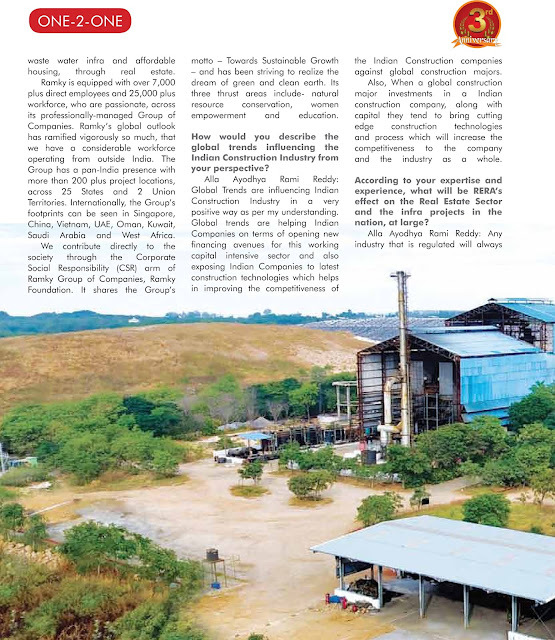 It's a great pleasure to share the popular magazine ‘Construction Times’ Anniversary issue with you featuring The Chairman – Ramky Group, Shri Alla Ayodhya Rami Reddy. His insights & valuable thoughts as a responsible citizen of the society and ever thriving business person are well captured and summarized into the topic called “Growing in Stature”. 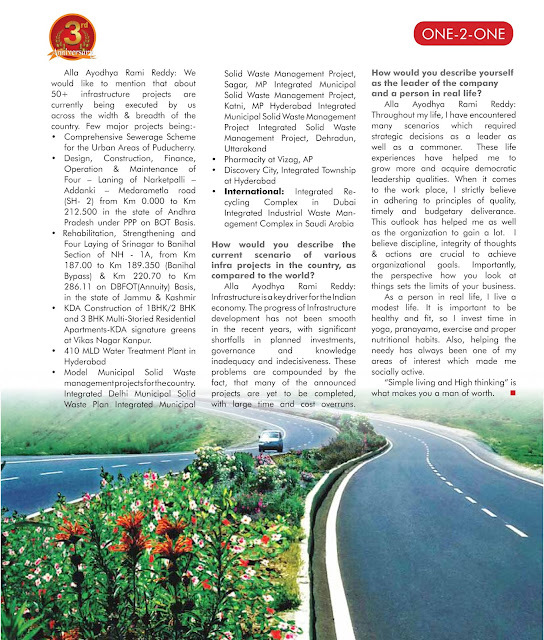 Here we are sharing the detailed interview with him.